I'm a passionate wedding photographer and feel so lucky when I get to be part of someones special day. You want your wedding photos to reflect the atmosphere of the day. I'll capture that as I have over 15 years experience and I'm skilled at putting people at ease, organising groups in a sensitive manner while capturing the in between moments you want to cherish and remember. I feel privileged to have worked with some wonderful couples over the years, all of which I have bonded with from the start. It's important to capture those special moments and having engagement photos helps me chronicle your story from the beginning. Being based in the Cumbrian Pennines and a stones throw from the Lake District I have a wonderful backdrop for photos, however I have also travelled as far as the French Alps to photograph weddings, so no matter where you are I'd love to hear from you about your wedding or engagement. To find out more or have a chat please contact me here. To see my pricing guide please see here. Although not technically an engagement shoot Reuben and Polly did get engaged not long after I took these photos! Coming all the way from Israel I was so happy to spend time with them both taking photos and showing them the sights of the Lake District. 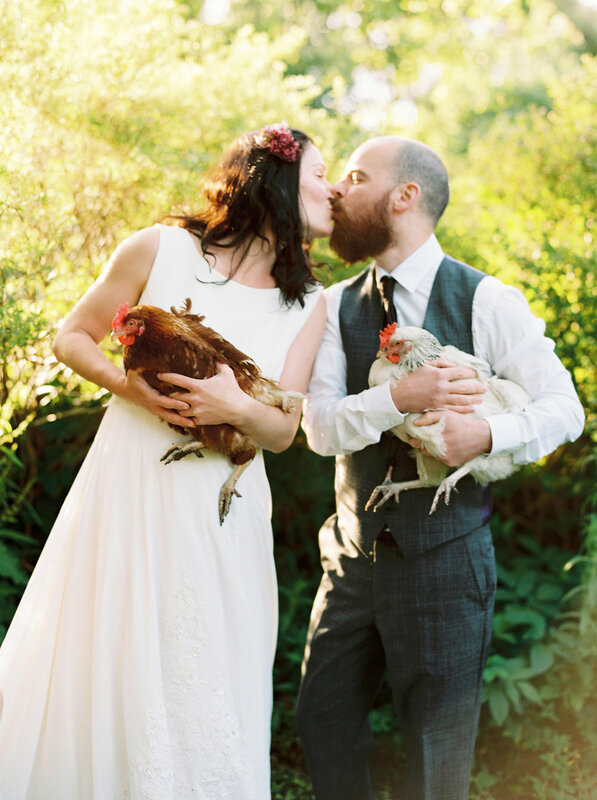 A beautiful wedding at The Farmhouse in Morzine. Reuben and Polly asked their closest friends and family from all over the globe to join them in this stunning mountain village for their wedding weekend. There was a thunderstorm during the ceremony, which was just perfect. Easy to see the love shine out with this one. 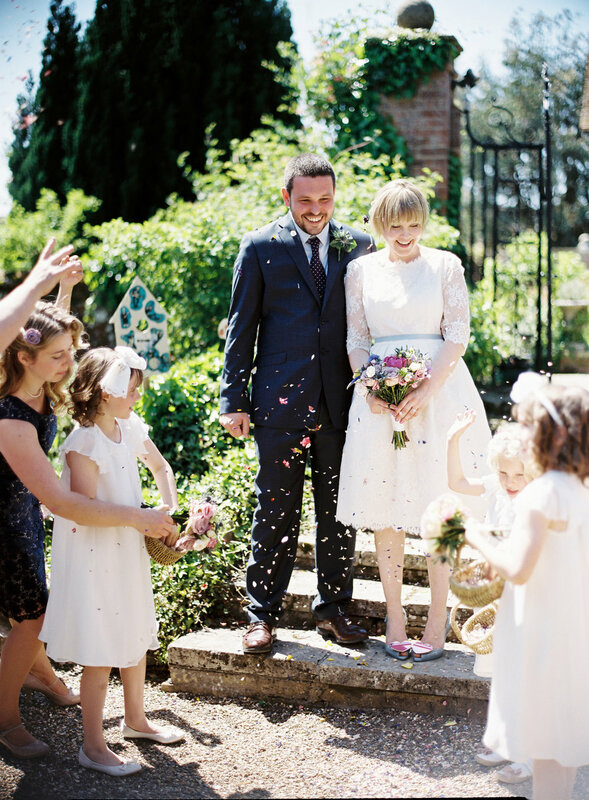 Amy and Greg got married in beautiful Norfolk. The dresses were all hand made by her aunty who also grew all the flowers! All the details of the day were made by Amy herself and the 'wedding cake' was made up of cakes made by the guests. A very homemade, special wedding. Natalia and Han had such a romantic wedding day at the Merewood Hotel in the heart of the Lake District. It was calm and beautiful, a very special day to whitness. I covered Harriet and Graeme's wedding over a couple of days. The official wedding at the register office in Barnard Castle then the humanist ceremony in a local village hall. Both were completely relaxed events which was wonderful to get the chance to document. Amy and Lee love the outdoors and the Lake District so Ulswater in Autumn was the perfect place for their engagement shoot. We had a lot of fun and it was great to get to know them better before their wedding, one of the reasons I love engagement shoots. A stunning winter wedding at Rivington Hall Barn on the 3rd of January. Amy had a great eye for detail and the colours make this wedding stand out on a cold winters day. They had the absolute best music and best dancing, these people knew how to party!! Carol and Shane eloped to Iceland and decided to have some photos taken when they returned. The Langdale mountains were the perfect backdrop and matched in with the Icelandic vibe very well. It was a special shoot as their daughter Izzy- Rose was there and Carol was pregnant with their second daughter Martha-Rose, so she was there too.